The Broadway is a petite fiberglass swimming pool that creates a modern layout for your home. It utilizes a unique sideways layout and orients the swimmer to enter from the side rather than the nose. It also provides dual bench seating and a flat bottom layout. Certainly a unique look that you can’t find elsewhere! For those who crave a modern swimming pool designed for small backyards, we bring you The Broadway! 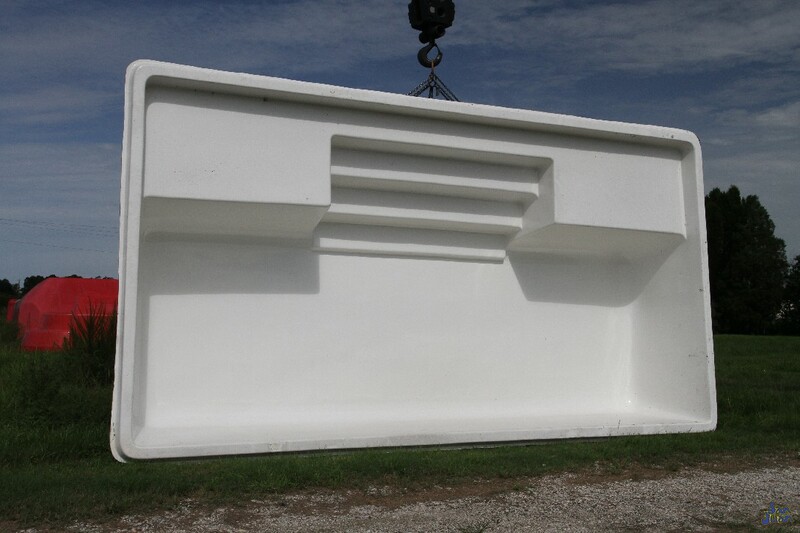 This petite fiberglass swimming pool is designed as a rectangular layout with a set of side entry steps. This is a very unique shape that is quite uncommon in our industry. This stylish orientation also provides the end consumer the ability to orient their backyard a little different from our standard pool designs. Rather than approach your swimming pool from the nose, you can create a horizontal layout. This elongates your backyard for a distinct outdoor oasis. Along with a sideways set of entry steps, we’ve included two comfortable locations for bench seating. This provides ample space despite the petite volume of only 4,500 Gallons with The Broadway. 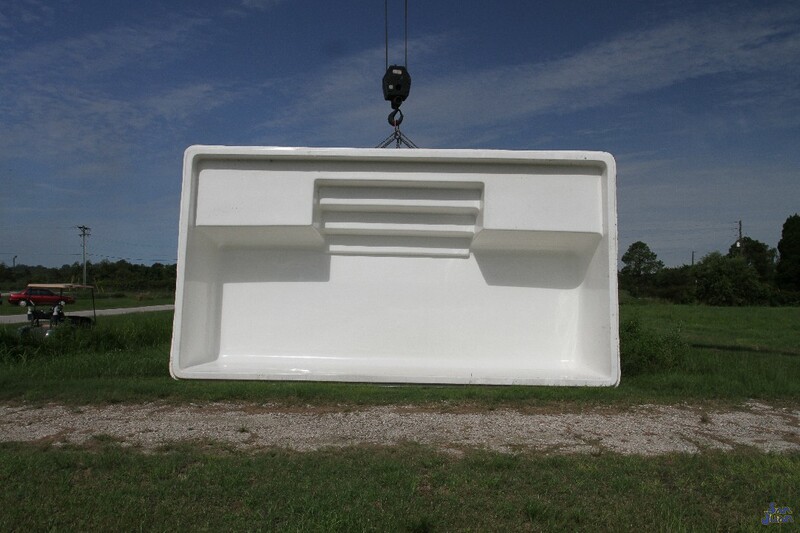 After you entry this modern fiberglass pool you’ll be greeted by The Broadways flat bottom layout. Reaching a maximum depth of only 4′, The Broadway is designed for comfortable soaking and conversing with family and friends. You’ll love the inviting personality of The Broadway. Spend just 15 minutes outdoors or enjoy hours of cool soaking to escape the summer heat. As we previously mentioned, the Broadway utilizes a very modern horizontal layout. 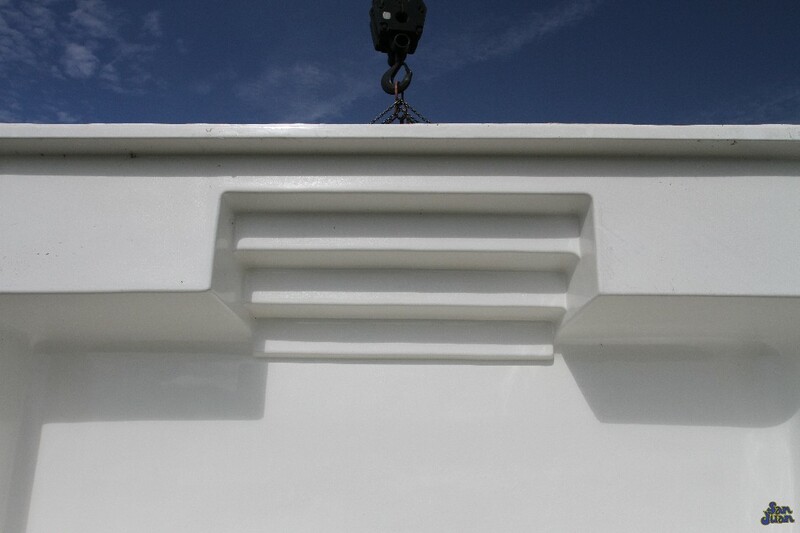 This is a very unique design that contrasts our standard shallow-to-deep end designs. We recommend this swimming pool for home owners who want to break the mold with a modern layout. 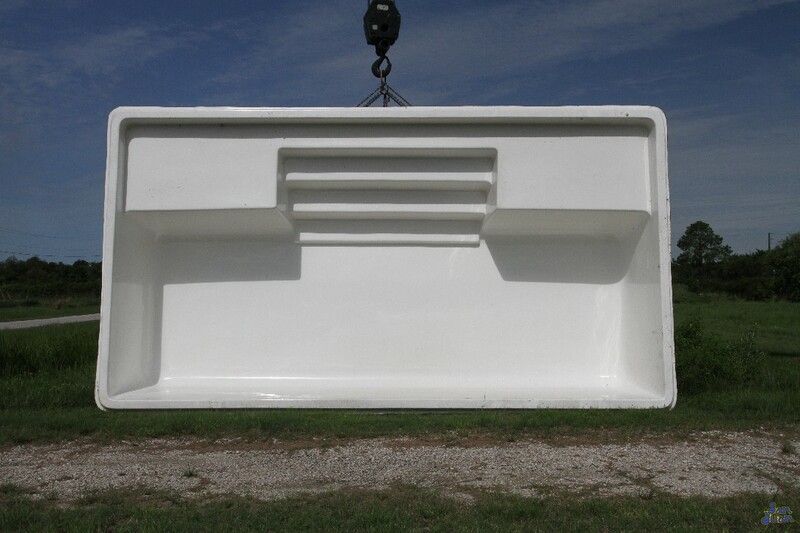 In conclusion, The Broadway is a unique fiberglass pool designed with a horizontal layout. This fantastic pool shape has a comfortable flat bottom design. 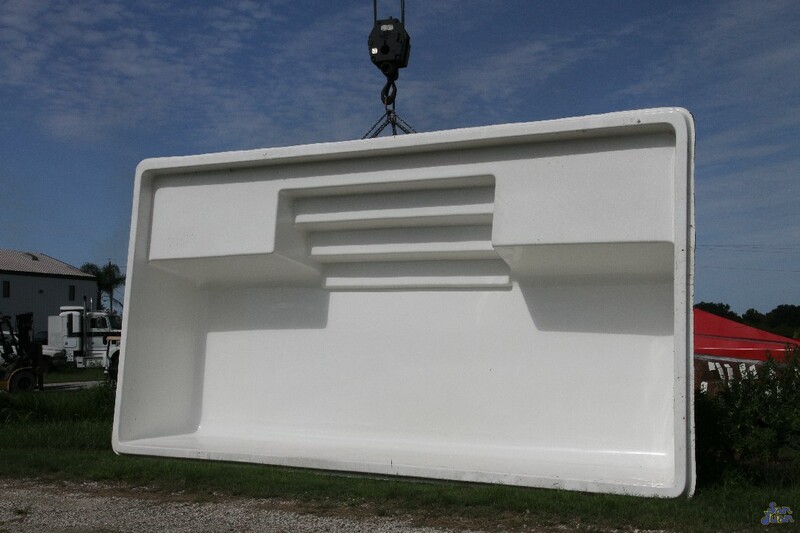 Providing a maximum depth of only 4′, the swimmer is limited to casual swimming and soaking in this petite fiberglass swimming pool. This unique layout is sure to provide you with ample opportunity to connect and converse with guest.